At the Gemsigns launch in Kingston I met local blogger, sometime reporter, professional make-up artist and apparent all-round Renaissance woman Tameka Coley, and we agreed to do an interview. Life unpleasantly intervened in the form of a death in Tameka’s family (for which I offer my deepest condolences) but we got there in the end, doing the interview by email after I’d got back to the UK. It went online yesterday. In a post on her own blog, Tameka talks a bit about how she came to be at the launch and what prompted her to want to do the interview. That post is Introducing: Gemsigns by Stephanie Saulter. 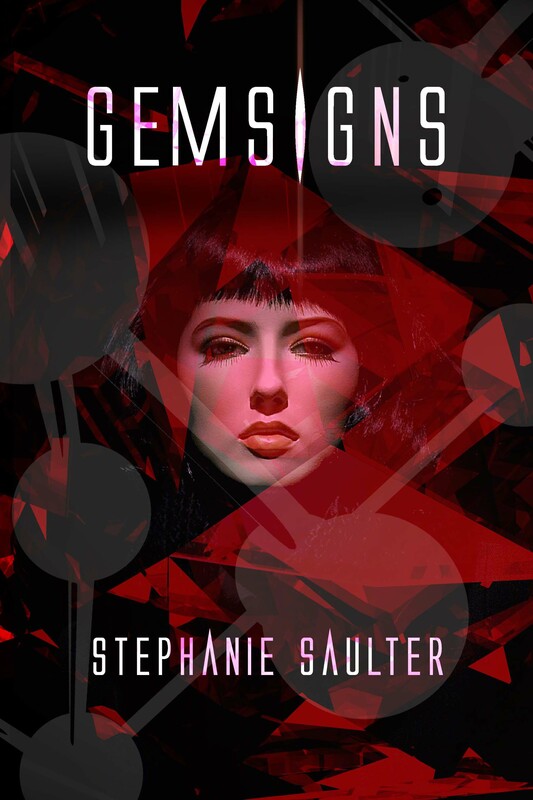 The interview itself appears on the New World Cafe Blog as Stephanie Saulter’s Gemsigns … science fiction reality, and is also linked under the press tab above. I’m reposting it here in its entirety as well. In addition to a few of what I’ve come to expect as the ‘usual’ interview topics, Tameka asked some very smart questions about the Caribbean context and contemporary implications of the novel. Tameka has a Facebook page, writes the Sour Skittles blog, and is on Twitter as @tsansai. Her friend Patrick Fuss writes the New World Cafe blog. Thanks again Tameka and Patrick – it was a pleasure. When did you know that you wanted to become an author? There’s no eureka moment when you say, ‘Ah ha! I shall be an author!’ What you know you want to do is write. From that follows the desire to be read. From that, if you’re lucky, comes the opportunity to be published. One day you wake up, and hey presto! You’re an author. Do you remember the first literary piece you wrote? I’m not sure what you mean by literary piece, but in any case, no – it would have been an essay or short story from back when I was doing my degree, and I no longer have any of those papers. Around 7-8 years ago I wrote two screenplays, but Gemsigns is the first fully realised piece of long form prose fiction I’ve ever written. You’ve worked in real estate, the food industry as well as various corporate roles; how have your experiences in these fields translated into or influenced your writing, particularly Gemsigns? I know a lot about a lot of different things, and I get to incorporate that awareness in a variety of subtle and not-so-subtle ways. One of my early reviewers commented that it was obvious that I understood the way big corporations work, and how they interact with government and the media. She was right. I’ve also worked directly with the public sector, advising government departments and local councils here in the UK, and so I understand the political mindset and the way public policy is developed (or not). And I’ve set up and worked with charities and non-profits, so I understand the way the voluntary sector works as well – that was useful for showing the other side of the religious argument, the United Churches charitable mission that attempts to help the gems. What makes Gemsigns a gripping tale? I think it’s gripping because the risks feel real. What’s at stake isn’t distant and unrelatable, it isn’t the destruction of planets or the notion of falling prey to some supernatural evil. It’s the forced labour of human beings. It’s families being torn apart. It’s a mother’s inability to protect her child from harm. It’s women being forced to bear children whether they want to or not. It’s gem-bashing, which is intentionally portrayed as being no different to gay-bashing, or the lynching of black men in the American south. It’s knowing that whether people are protected from, or subject – legally subject – to being treated in this way turns on the whim of a fickle public who are easily swayed by media scare stories, and the moral fibre (or lack thereof) of the politicians who purport to lead them. None of that is far-fetched, it’s well within our collective historical memory – and for some people it’s within their living memory, even their day-to-day reality. I couldn’t help making a connection between your story and slavery/colonialism, especially with the clashes between the gems, gemtechs and the norms. Would you say this was in any way influenced by race relations in the Caribbean where you were born? Very much so. But one of the things I’ve learned, sadly, is how widespread that kind of prejudice-driven conflict is. It’s not just reflective of race relations in the Caribbean and Americas, but also the current debates over immigration in the UK and Europe, religious intolerance, discrimination against women, homophobia … the list goes on. Your novel raises many questions about what it means to be human. What would you say makes us integrally similar and/or different? I think my answer to that is Gemsigns. One way to read the question it poses is: are we made human because of what is or is not in our DNA, or by the way we treat each other? I know what I think, but it’s a question everyone has to answer for themselves. I couldn’t help thinking about the idea of ‘created races’. What’s your take on this, and was there any inspiration in that regard for Gemsigns? I wanted to put the whole idea of justifying discrimination and abuse under a microscope. So often throughout history the logic for why the dominant group consider it acceptable to treat others as inferior to themselves is founded on the notion of those others being ‘really different’, to the point of thinking of them as not entirely human – as another, lesser species. It was a justification for the enslavement of people from sub-Saharan Africa. It’s been a justification by men for keeping women subservient. Even today it’s often how people manage to excuse or ignore the appalling treatment of gay and trans and disabled people. Science has often had to prove that the ‘really different’ notion is untrue before governments and individuals are prepared to let go of it. At the same time, one of my ongoing interests is genetic engineering and genetic medicine; the fact is we are already capable of creating people, plants and animals that did not and probably could not have evolved naturally. So I thought I’d put these two ideas together and create a group of people who really are ‘really different’, to test that notion of justified discrimination. Who conceptualised the artwork for the cover, and what does it represent? How did you come up with the name Gemsigns for the book? With a lot of effort and angst! Every gem bears a gemsign, some visible identifier that makes it easy for them to be distinguished from norms. It’s a mark of their difference, and it’s the thing that would make it easy for them to be pulled back into servitude. Two of the storylines hinge on gemsign – one revolves around a character who appears not to have any, and another character’s is hidden so no one can see what it actually is. This is not a situation that most norms are happy with. I thought ‘Gemsigns’ neatly captures much of what the story is about. 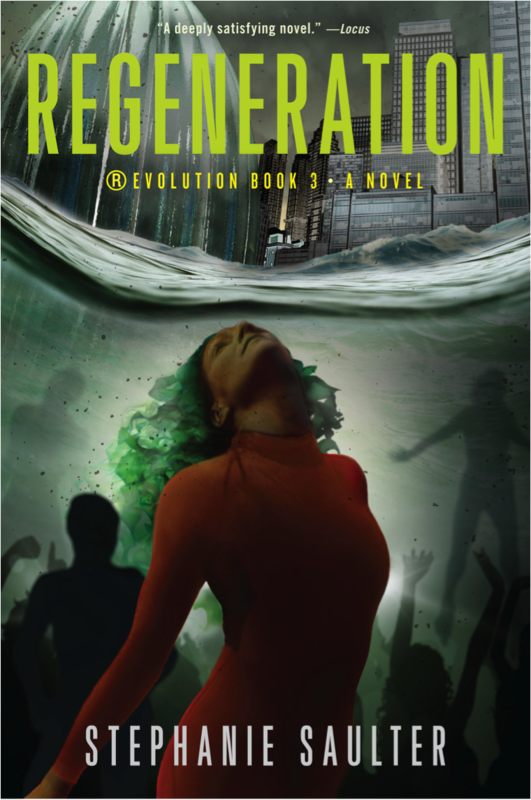 The working title was ®Evolution, but that became the name of the series. Your book also forces us to explore the question of how much is too much or what is taboo when it comes to genetic modification. In terms of human experimentations and GMOs, would you say ethics should play a part, or is it strictly a matter of survival? We should always be guided by ethics, but it may be necessary for what is considered ethical to be revised when what is at stake is survival. There’s little point in being ethical unto extinction. But one of the things the book points out is that once a taboo is breached – even if for the best of reasons – that situation becomes a new normal, and it’s very hard to re-establish the taboo once the danger has passed. Gemsigns really allows for readers to think beyond the present day and even push the envelope to imagine the future of humanity … what inspired this intricate tale? There was no one thing. All of my interests and obsessions are in there somewhere. I will say, though, that a lot of science fiction is set in the very far future, and posits a reality that is radically different from our own; I find it fascinating but it rarely explains how we get from here to there. I wanted to look at the near future, and the kinds of decisions that might or might not lead us down those paths. What would you say was the hardest part of writing this novel? Giving myself permission to take seven months off to do it was the hardest part. The technical challenges vary – one day it’s character, another day it’s plot, another day it’s pacing. No one thing is hardest or easiest. How does it feel to have been offered a trilogy deal by your publisher after submitting your first book? Fabulous! Slightly intimidating, but mostly fabulous. 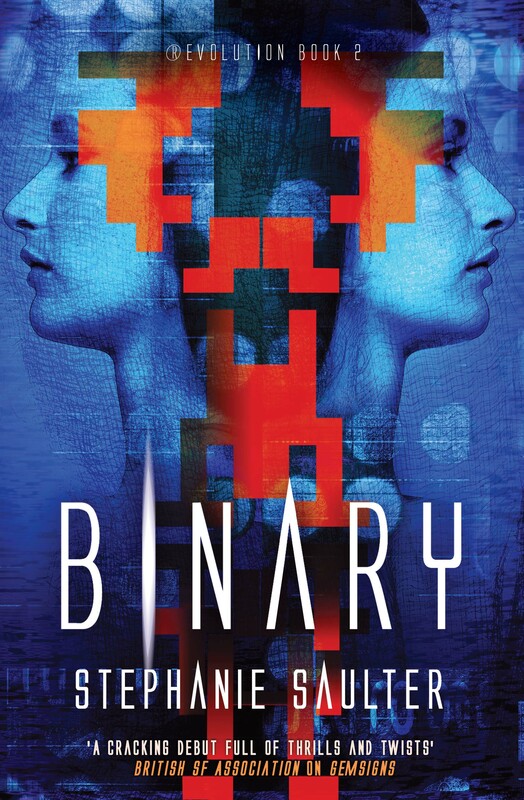 Any chance of getting a sneak peek into Binary (book 2)? Not for a while! It’s in the hands of my publishers, Jo Fletcher Books. I’ll be editing over the summer, as well as starting to work on the next book. Review copies will go out early next year. 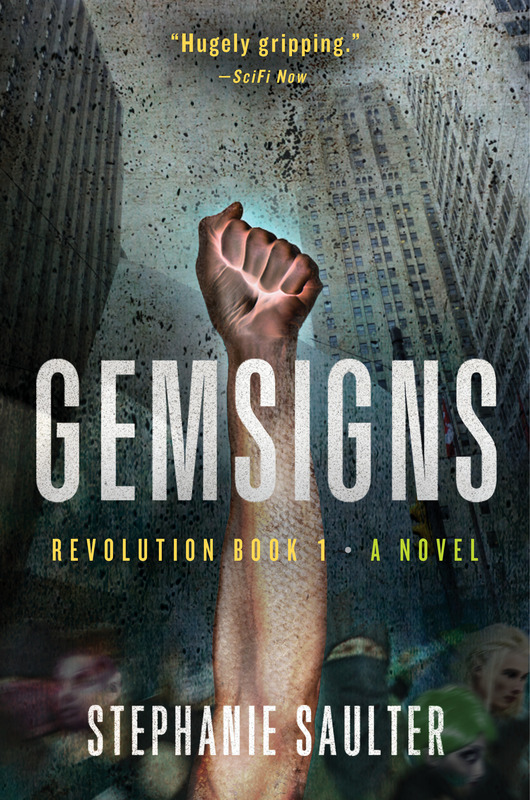 Are there plans to make Gemsigns into a TV series/movie in the future? Not so far. I get asked this a lot, so I suppose I should explain that this is not something I or my publisher or agent can cause to happen. It depends entirely on whether a film or TV production company approaches me about acquiring the rights to adapt the book. I can then accept their offer or reject it; but I can’t cause an offer to be made. Whether I ever get one is in the lap of the gods, but since the book has only been out for three months and won’t be in the US for almost another year, and studios generally only get interested in adapting books when and if they become best sellers, I am not at all surprised not to have been made an offer. It’s early days. What’s next for you as a writer? Do you plan to continue exploring humanity as a theme or do you have your sights set on other subjects? Having interesting conversations with smart people. Reading. Going to museums, galleries, and the theatre. Gardening. Hiking. And finally, where can readers purchase the book and how do they get in contact with you? In Jamaica it’s available at Bookophilia in Kingston (I believe they will order copies on request if they’re out of stock); other booksellers may or may not have ordered it, I don’t know. It’s available online from multiple websites based in the UK, Commonwealth and Europe including Amazon UK, where you can also purchase copies for Kindle. A good option for print copies is The Book Depository, which ships free to many countries worldwide including Jamaica (and which has it on sale as I write this). I can be reached via the contact form on my website, www.stephaniesaulter.com. I’m also on Twitter as @scriptopus. The answer to ‘why?’ is WHY NOT?